It’s that time of the month again, yes the Bucketlist segment is back with another killer band opening up about the bands they’d love to see so bad. For today’s edition we have THE DARKEST HEARTS from Tennessee, a DIY hard rock band that echoes characteristics of grunge with strong, melodic pop rock vocals against almost heavy metal instrumentals and organic tones. So, since this one we found to be an amazing band, we thought why not shoot them up our bucketlist question and see what acts they feature on their list. Without beating around the bush much, let’s see which bands they are dying to see. METAL NEXUS : As a touring band/musician you get the chance to see a lot of bands up close and personal. A luxury not everyone has. A lot of music lovers keep a “Bucketlist” of bands that we want to see perform live. What are the top active bands you would like to see live and why? “1. HALESTORM – Oh my god that woman can sing. Not to mention she is just a righteous girl. 2. MEGADETH – Dave is crazy talented and just knowing that someone can play like that and sing at the same time is not only heartbreaking but also inspiring. 3. NIN – They have one of the best live shows known to man. 4. SMASHING PUMPKINS – We have heard the new performance is on par with NIN. 5. RIVAL SONS – I mean come on do you really need a reason? 6. BLACK STONE CHERRY – They have a style that is very similar to ours and we just really like their music because its amazing. 7. SHAMANS HARVEST – Really, Kramedj just wants to see them play Dirty Dianna and sing along from the side of the stage. 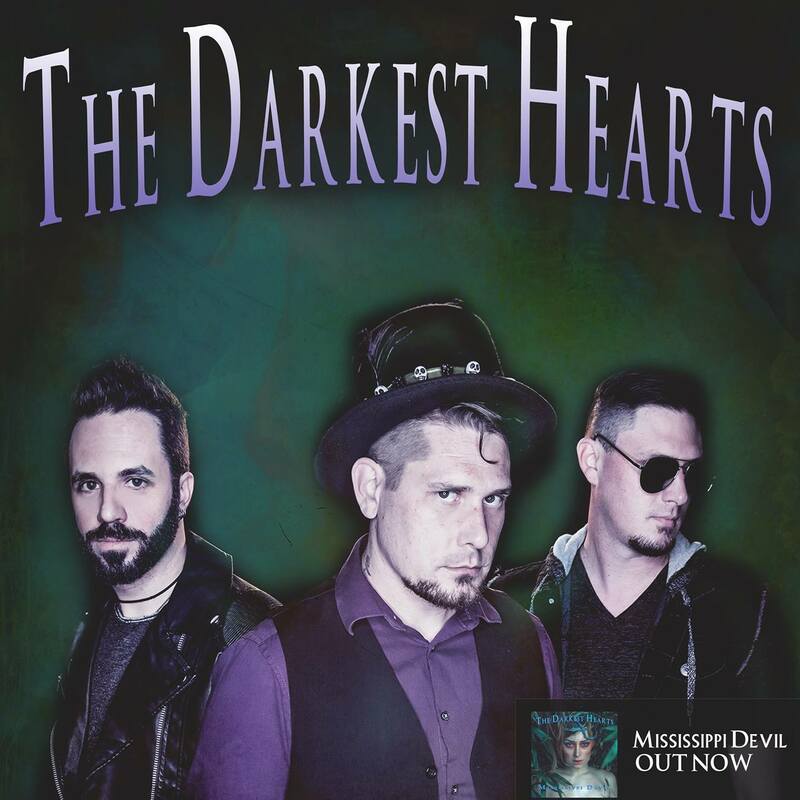 Recently, THE DARKEST HEARTS has released the official lyric video for their single, “Mississippi Devil.” The newest release has been catching on; spinning on Z 97.5 and 102.9 FM Wbzz as well as in the Australia and Rock Rage Radio. “Pick of the Week”. Over the course of 2017 THE DARKEST HEARTS were seen opening for acts such as Jennifer Hudson, Saliva, and Austin Winkler formerly of HINDER. Recently they’re sharing the stage with FLAW, SMILE EMPTY SOUL, and BLACKTOP MOJO. THE DARKEST HEARTS were also nominated for the Nashville Industry Music Award 2016 for Best Alternative Rock Band and Best Rock Vocalist 2017. 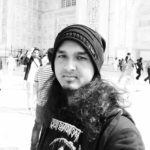 They are drawing attention world-wide for their unique combination of Rock, Pop and Punk genres, featuring striking guitars and rich, theatrical vocals. “Mississippi Devil’s story is about seduction, addiction, and the attractiveness of someone or something that does not necessarily return the feelings you have towards them but you are drawn in none the less.” – Luke Vavrek. Check out the all new track down below. And don’t forget to buy their stuff HERE! Tagged Bucketlist, The Darkest Hearts. Bookmark the permalink.